The word ‘Photography’ comes from the combination of two Greek words ‘phos ’ meaning light and ‘graphe ’ meaning drawing or writing. So basically the word photography means writing with light. To put it simply, Lighting is everything in photography. Photographers need to learn how to read, understand and manipulate light to get desired results. Light has four attributes – Intensity, Direction, colour and movement. Learning to read these attributes correctly will allow you to set the mood and tone for your shot. 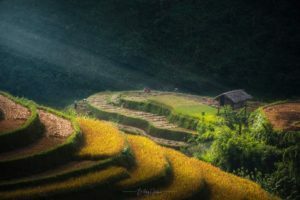 So how do you actually read light?The most basic categorization of light for photographers is ‘natural’ vs ‘artificial’. Natural Light is what you get naturally. Sunlight, moonlight or a forest fire. As you will probably realize, the light from different sources will not only have varying intensities but also differ according to the time of the day. Morning sunlight, for example, gives a soft and diffused light while the afternoon sun gives a strong light producing darker shadows. You may have noticed photographers scrambling to take photographs during the ‘Golden Hours’. Artificial light, is any light that has been produced from artificial sources. The fluorescent lights, incandescent lights, strobes are all artificial lights. 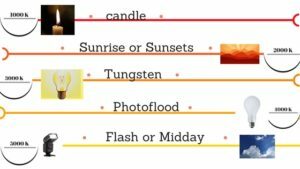 Colour temperature: Without getting technical, colour temperature in photography is the colour cast that a particular light source gives. Each light source has its own colour which varies from red to blue. For example, sunsets and candles give out colours closer to red while clear noon skies will give out a blue colour. Colour temperatures are recorded in Kelvin. You can choose from a number of pre-set colour options like daylight or tungsten or set your own when you shoot in manual mode. Direction: Light travels in a direction. The direction from which it falls on a subject is what creates the mood of an image. That is why photographers are always trying to manipulate light by either blocking it or using reflectors and bouncers to enhance it. A subject can be lit from the back, front or sides and the look or the feel of the image will come from how the photographer has placed and used his lights. Highlights and Shadows: Highlights are the brightest parts of an image while shadows are the darker parts. The contrast is the difference between the two and is usually categorized as ‘high’ or ‘low’ depending on the difference. Images shot at midday will have a high contrast as compared to images shot at sunset. Light forms an integral aspect of composition. When you go for a shoot, learn to ‘see’ the light first. What is your main source of light? How does it fall on your subject? How is the contrast? Look at it from different angles and choose your best position. See if you can include the lights and shadows in your composition. After you have read the light you might want to alter it. 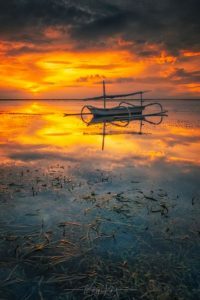 Consider using reflectors and diffusers to add or intensify the light falling on your subject. After all, the success of a photographer depends on how well he can read light.